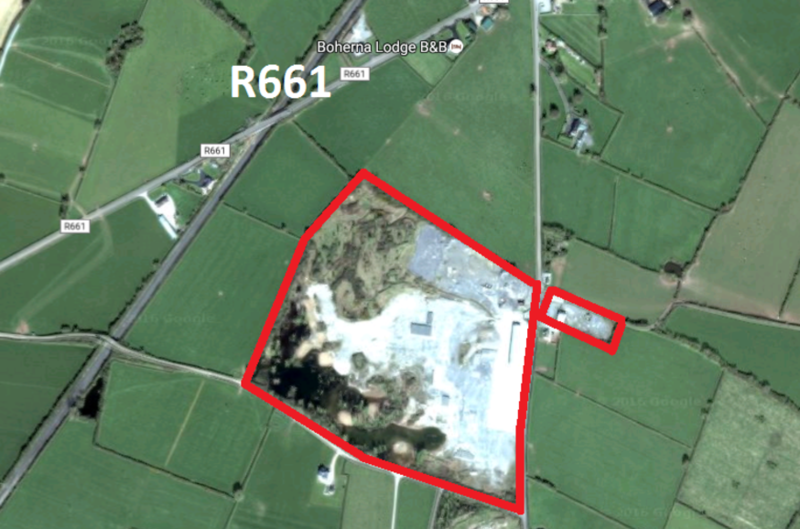 The property is situated approximately 2.5km south west of Holycross Town, just South of the R661 from Holycross to Dundrum. Holycross is situated approximately 7km South West of Thurles Town and approximately 8km North of the M8. Holycross can be accessed from the M8 at Horse and Jockey (JN 6) before the Cashel North (JN 7) turn off. The surrounding area is predominantly agricultural in nature. The property comprises two sections, one on the east side of the road and one on the west side of the road. The section on the east side of the road comprises approximately 0.49 ha (1.21 acres) of a rectangular shaped yard area which comprises an old house previously used as an office, garage with a shed. It has road frontage and is completly self-contained from the property on the other side of the road. The property on the west side of the road comprises the former worked out pit, large covered yard area and a shed with substantial road frontage. 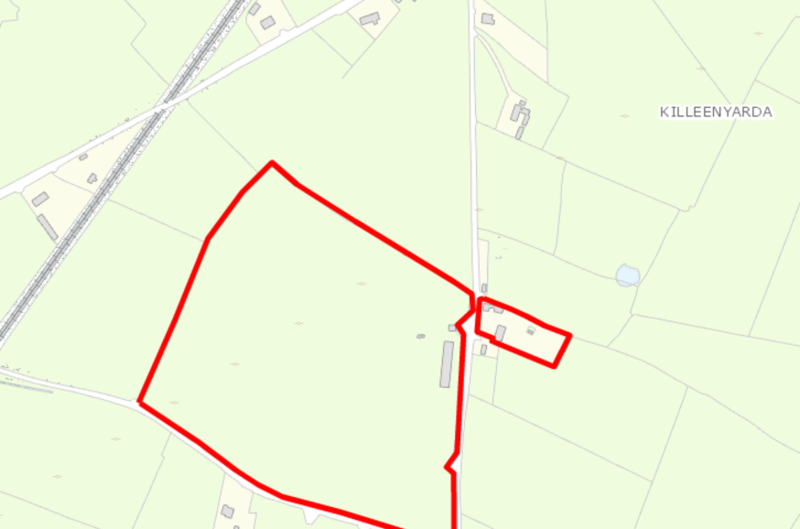 The site comprises approximately 11.88 ha (29.35 acres).